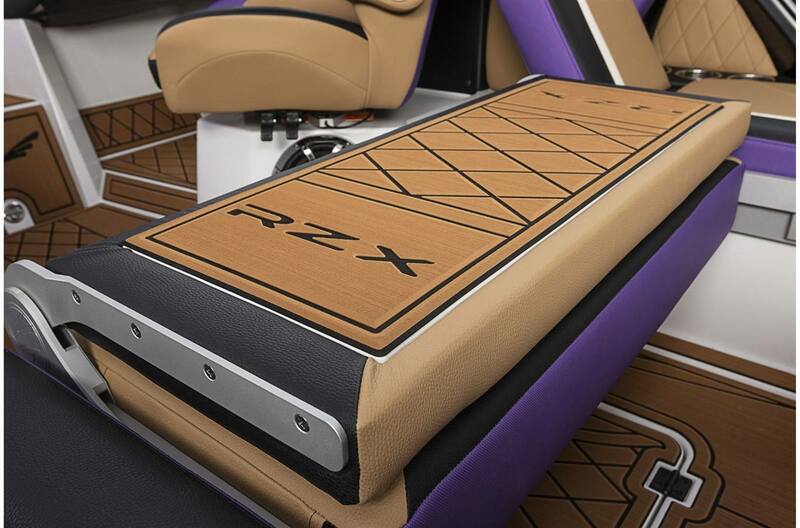 First-class style and first-in-class innovation are just two ways the award-winning RZX3 sets the bar. 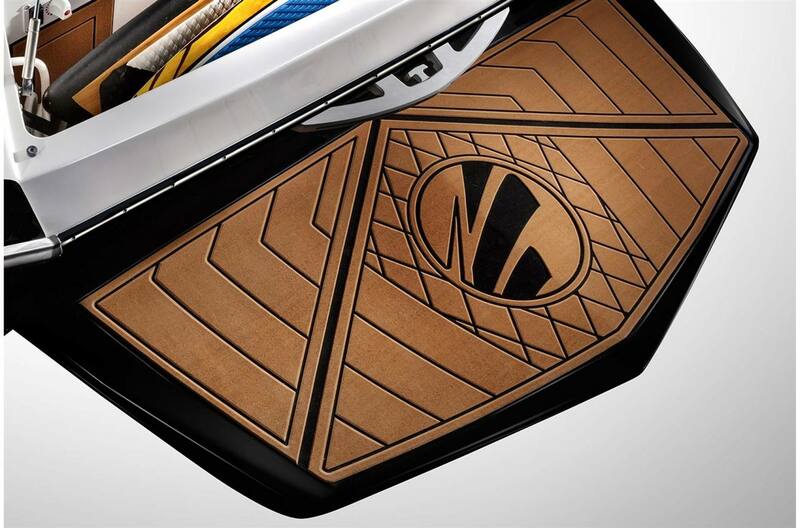 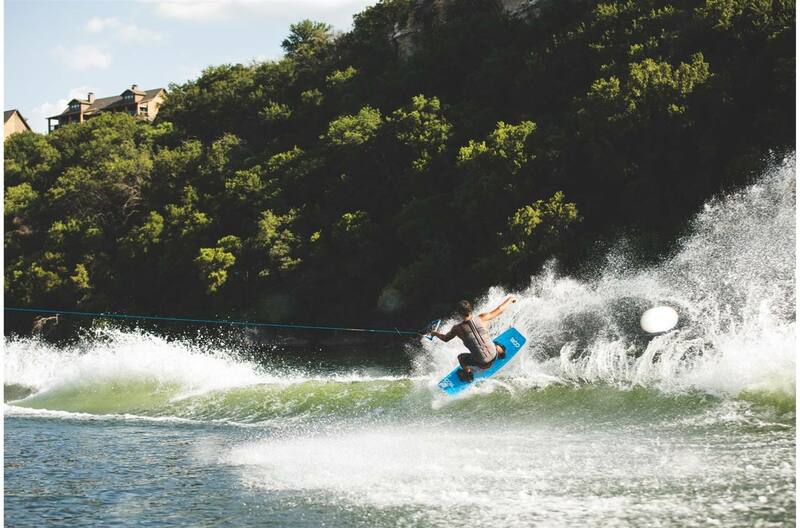 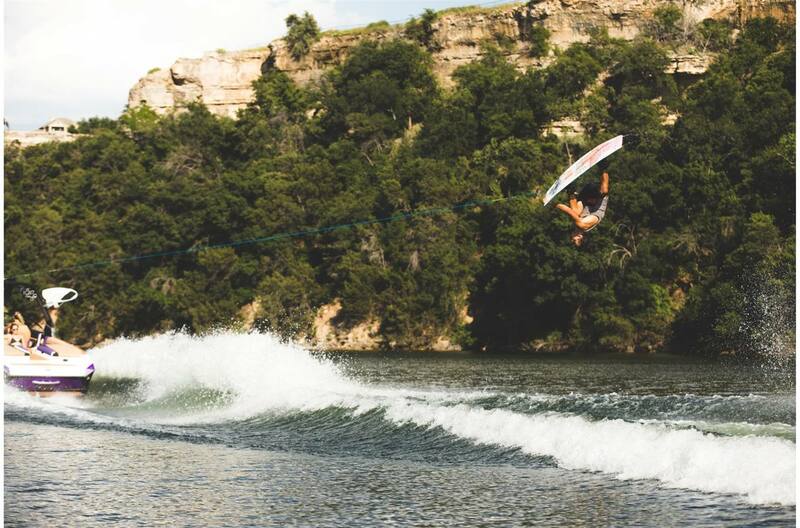 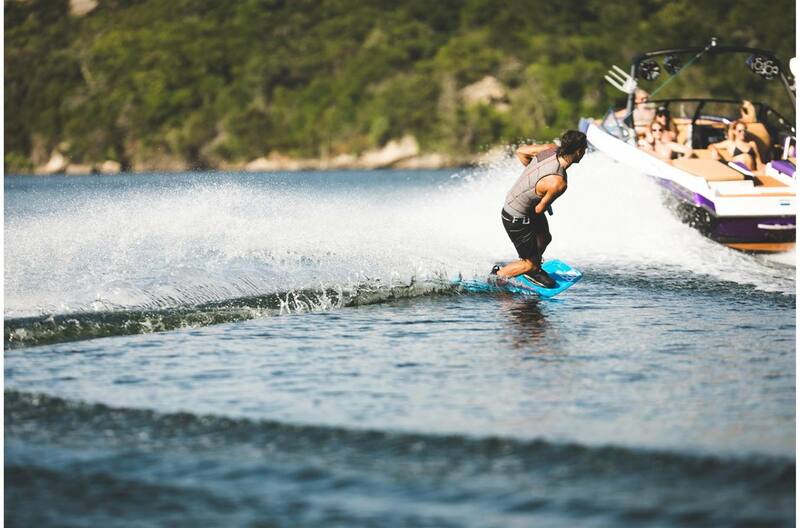 The RZX3 is recognized as one of the world's best wakesurfing and wakeboarding boats on the market by the WakeWorld Riders Choice Awards. 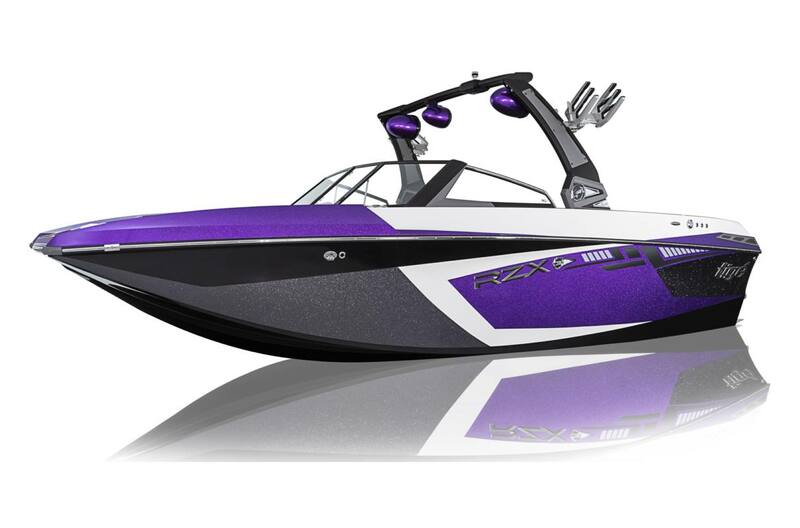 That's because RZX3 goes big, not just in size, but in performance, versatility, luxury, storage, and freeboard. 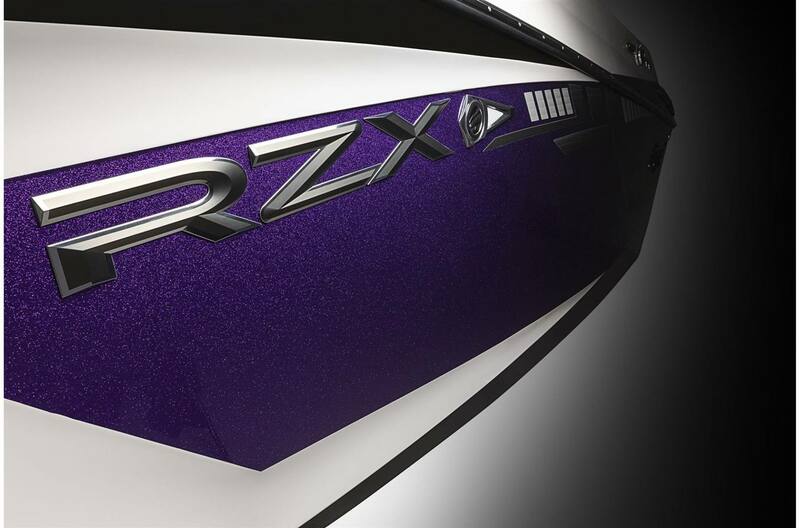 Simply put, the RZX3 is the best of the best in every aspect imaginable. 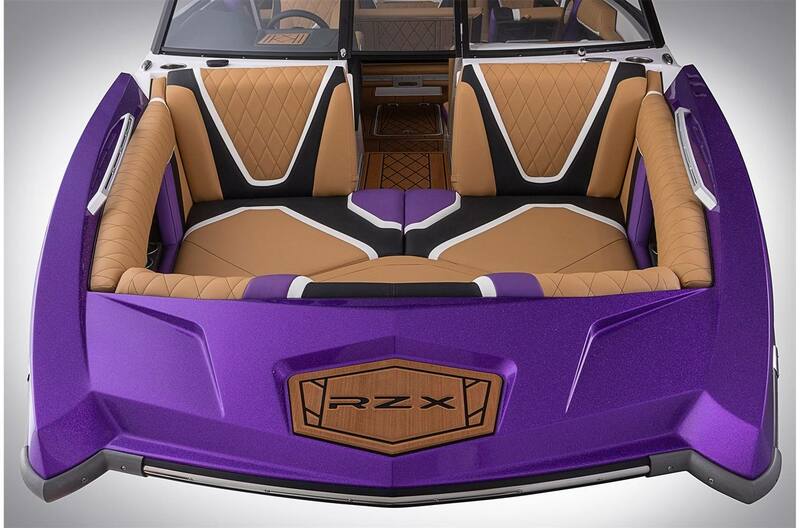 Combine its power with leading technology and the signature style of the RZ Series, the RZX3 is more than fully?featured, it’s fully loaded. 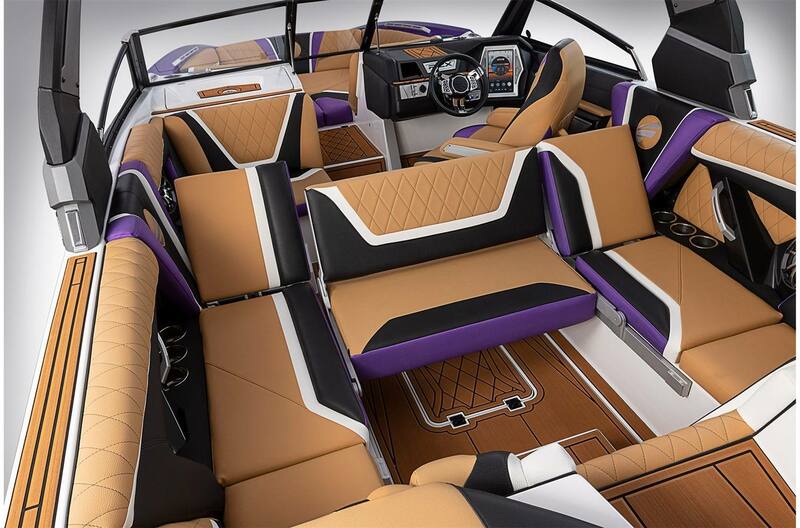 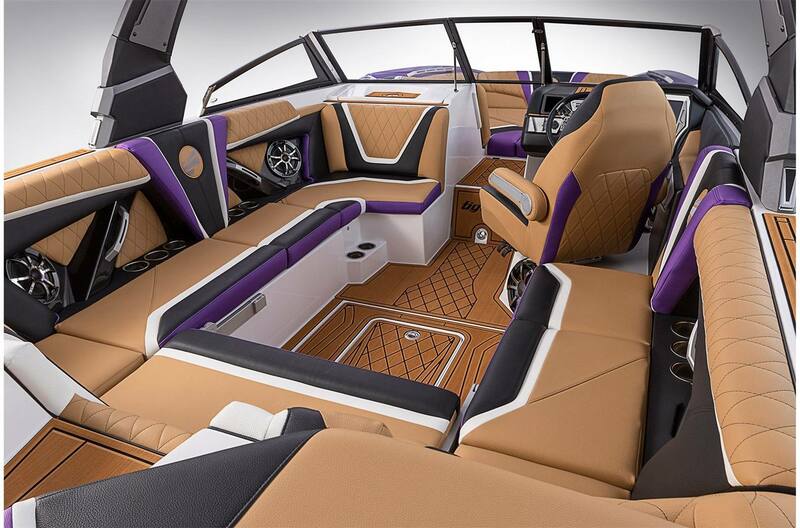 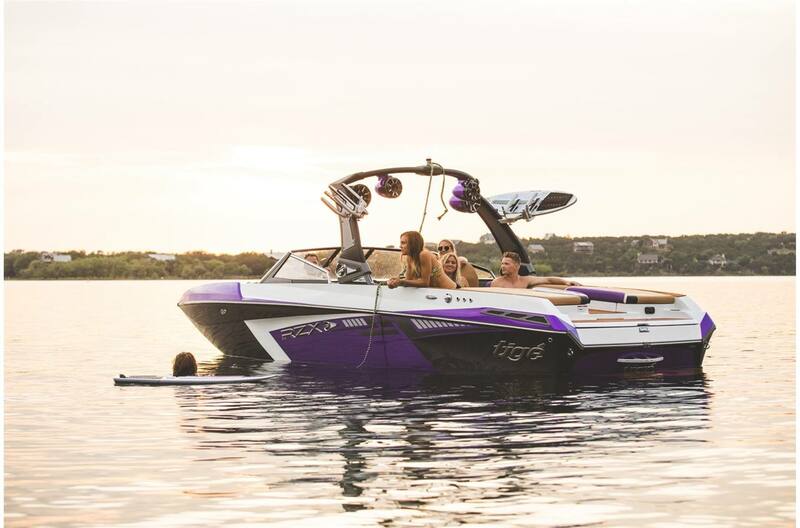 Oversized Bow: The RZX3 offers a wide, open play pen style bow which allows more friends along for the ride. 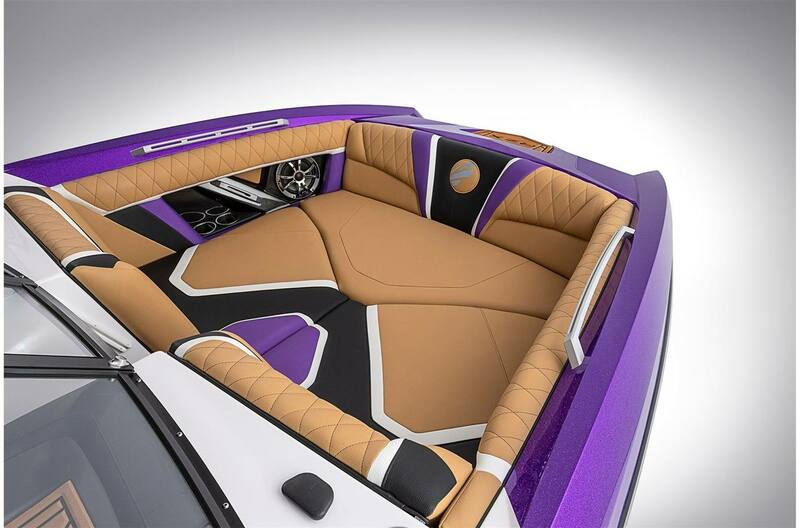 Stretch out and relax in the deep bow as you soak up the sun. 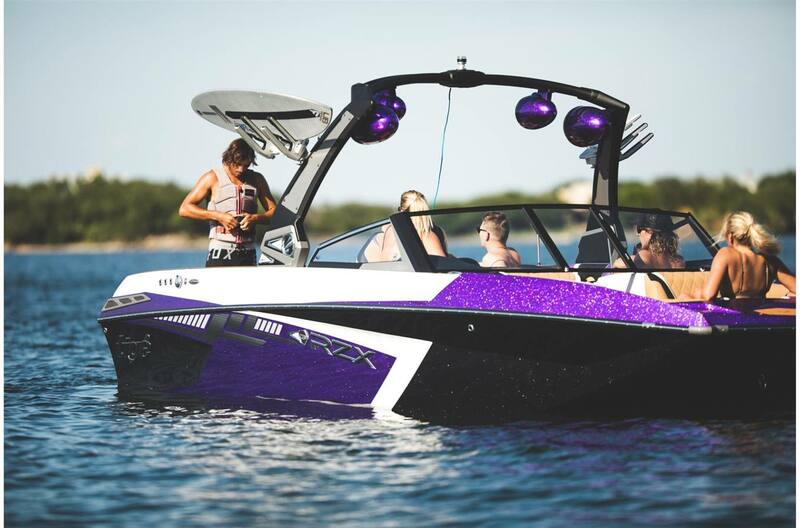 Reversible Seat: The RZX3's easily collapsible Reversible Seat transforms into your front row seat to all the action behind the boat. 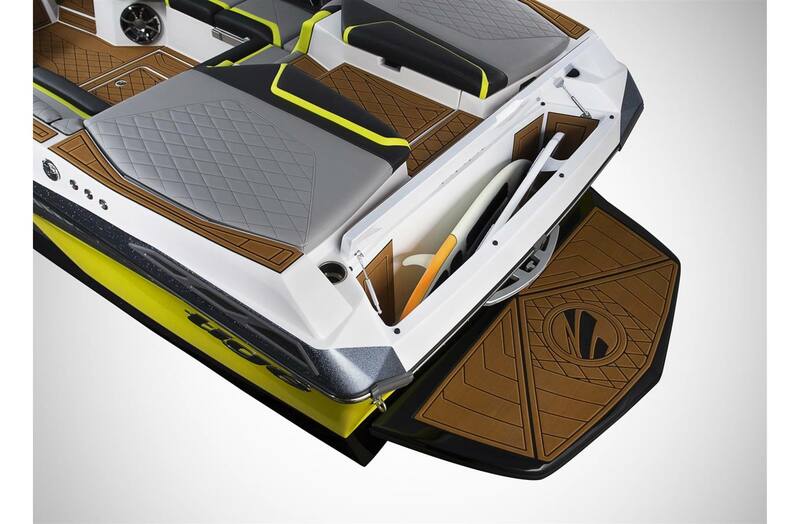 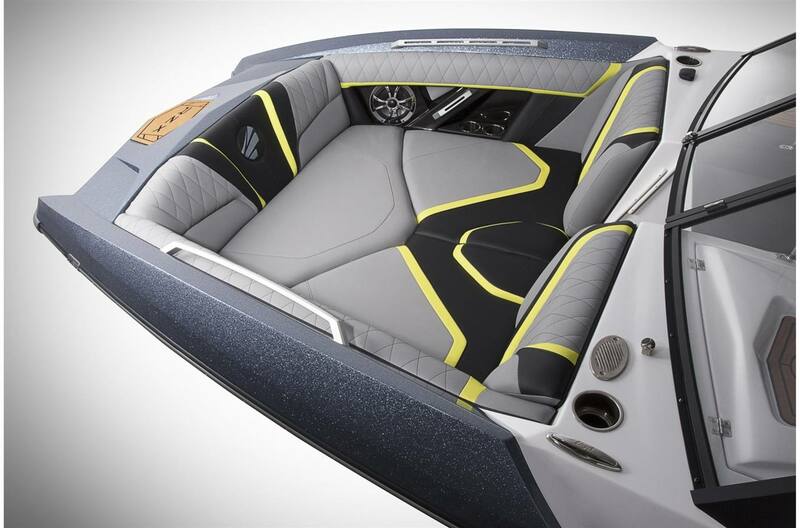 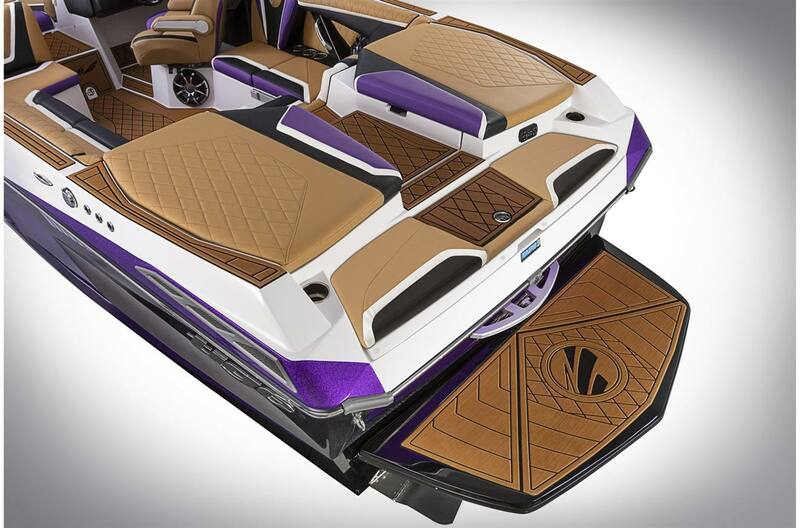 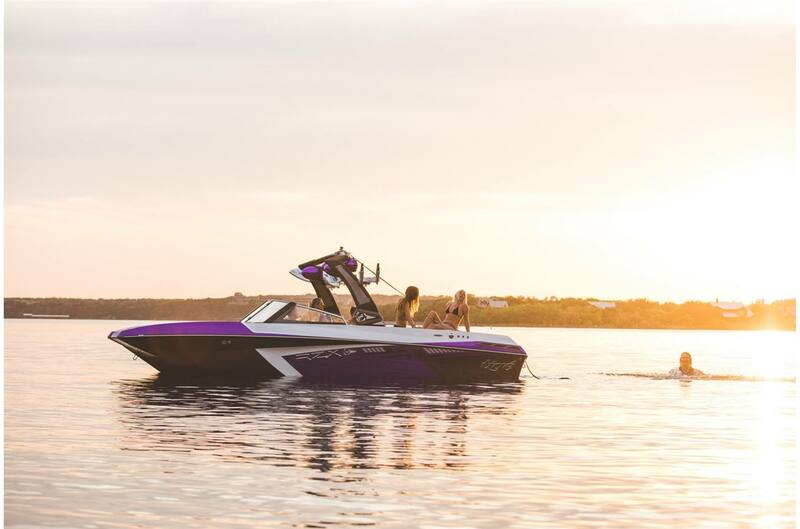 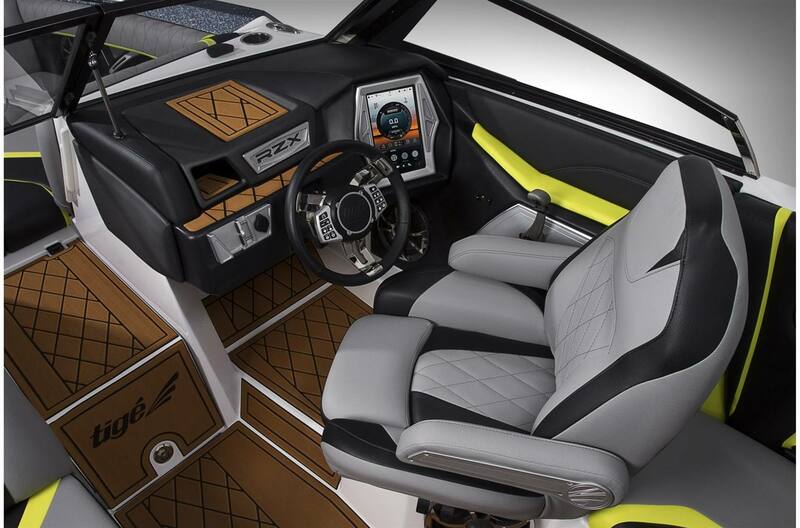 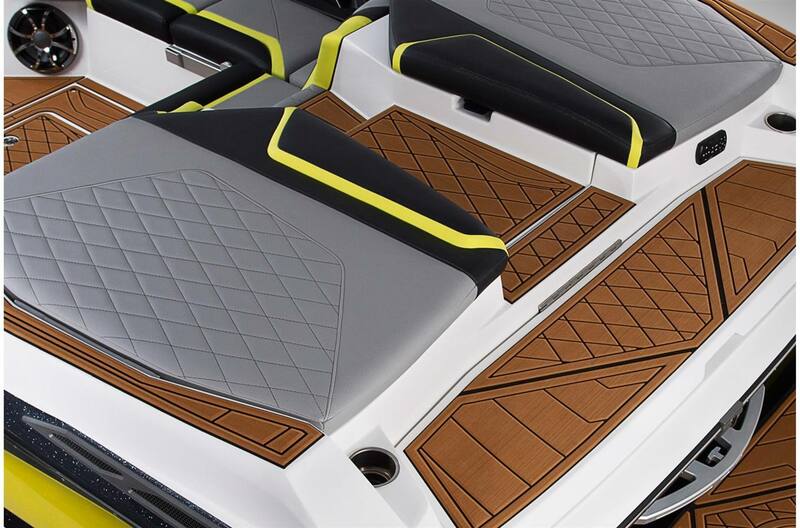 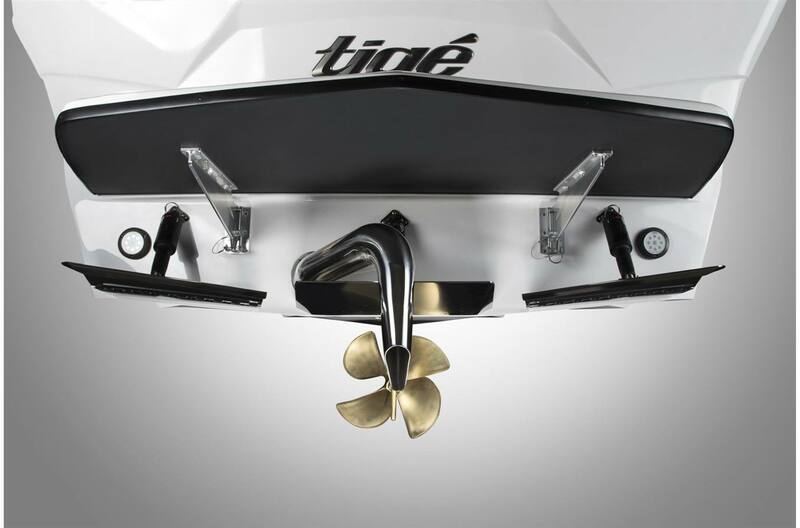 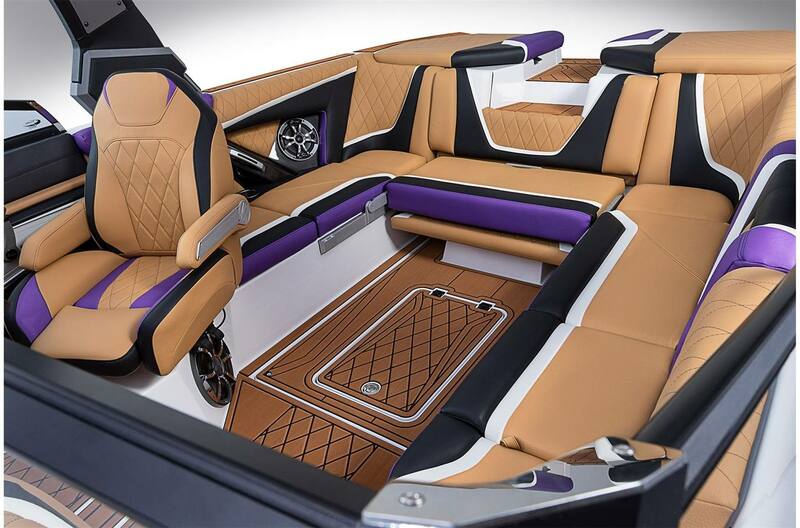 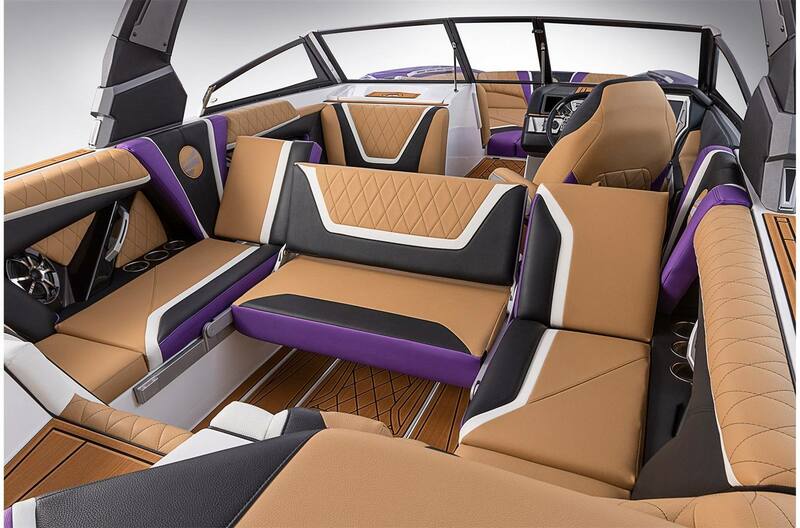 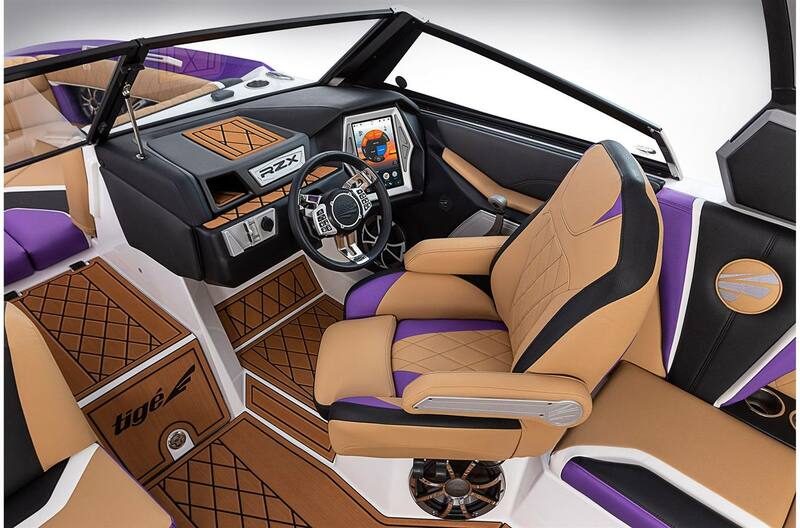 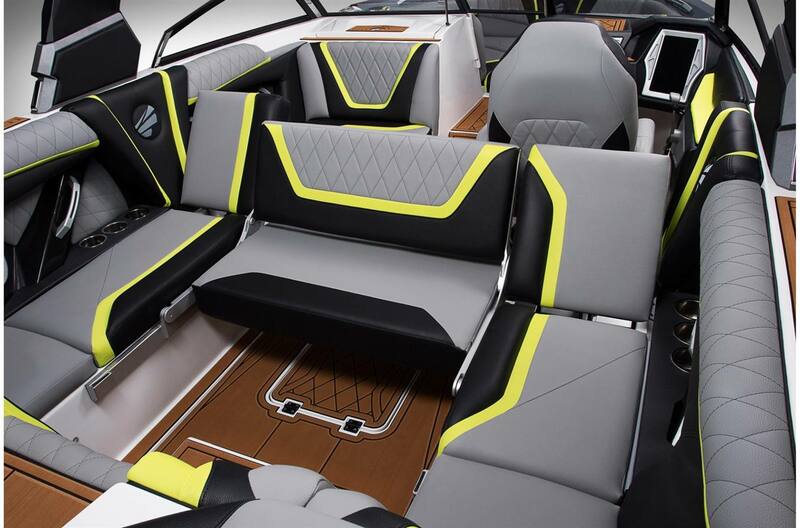 Signature Styling: Building on the signature edge of the Tige RZ Series, the Tige RZX3 is leading the next generation of Tige styling. 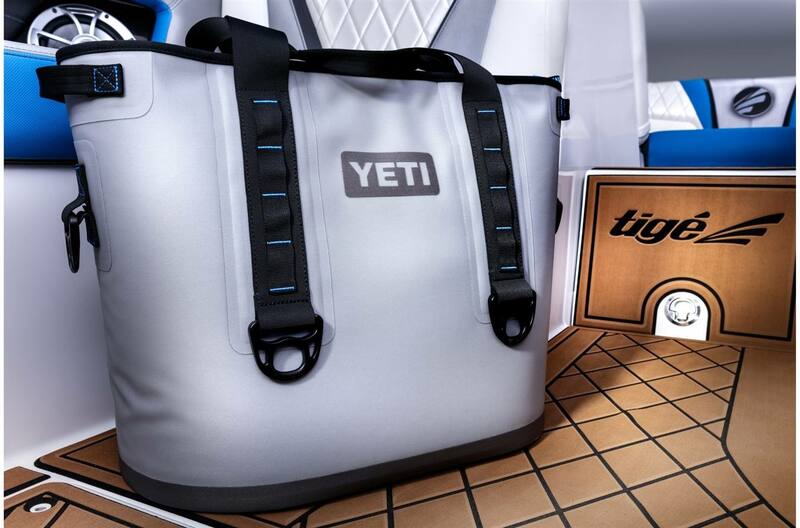 Yeti Cooler: The YETI Hopper, the leakproof, ice-for-days, go-anywhere cooler, comes standard with every Tige RZX3. 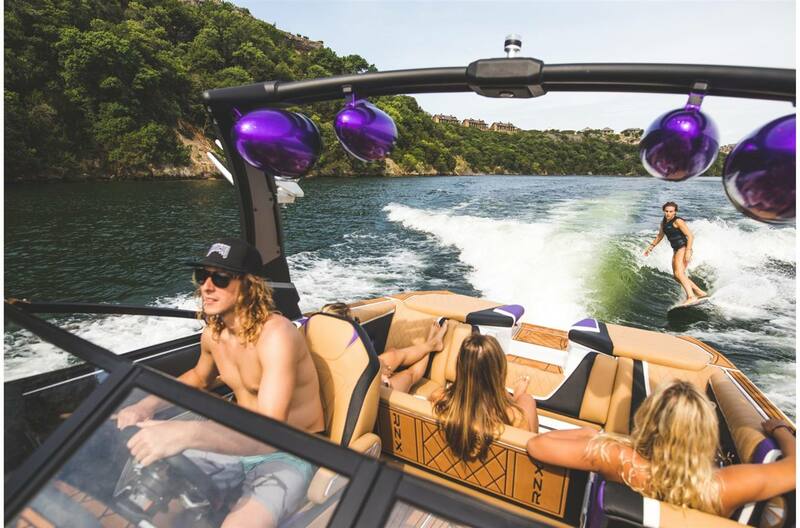 The YETI Hopper is jam-packed with Yeti's hardest materials and toughest technology, keeping your drinks ice cold even on the hottest days.